For Wilmington, DE residents, the only hard part about finding a craft beer worth writing home about is choosing just one brew pub to patronize out of the dozens in the area. In fact, a few years ago Time magazine published a piece entitled “You’ll Never Guess Where the Nation’s Best Craft Beer Is Brewed” that highlighted Delaware’s impressive craft beer revolution. Dogfish Head is perhaps the most recognizable of craft beers brewed right here in Delaware, though it has plenty of competitors these days. Residents in Darley Green, The Cedars, and other Montchanin Builders communities have no shortage of options when it’s time to kick back and relax with a cold one. Chelsea Tavern, conveniently located across from the opera house, is a modern gastropub with an upscale flair that offers an impressive menu of food and brews. Check back often for their happy hour specials, which currently includes specials on all 31 craft drafts during all Phillies games for patrons in the bar area. Among its selections, Chelsea Tavern offers the much-prized Dogfish Head. Iron Hill Brewery has several locations around the area, including one right in Wilmington. This pub takes the craft beer craze to a new level; they employ their own brewers to create their own signature house beer. The lightest of these selections is the Iron Hill Light Lager, which offers a refreshing, crisp taste that is perfect for a summer evening. Those who prefer a heartier brew should try the Vienna Red Lager. Out of all of their house brews, this one has won the most awards. Another multi-award winner is Pig Iron Porter, which is dark and full-roasted with slight chocolate notes. Esquire magazine once called this pub “One of the best bars in America.” The unique atmosphere that marries traditional brewpub ambiance with Presidential history nicely complements the extensive beer and food menu. The eclectic menu features both artisan beer and premium cocktails. You’ll find classic favorites like Guinness paired with seasonal bottles like Dominion Grapefruit Pale Ale, brewed next door in Dover, DE. Looking to enjoy a good beer on a sidewalk patio? Head over to Trolley Tap House, an industrial-style pub on Delaware Ave in Wilmington that takes the unusual approach of bringing together “intimidating or strange” brews into a relaxed ambiance that also happens to be child-friendly. Here, you’ll find brews from neighboring Pennsylvania, including Yards Brawler and Yuengling Lager, along with Delaware favorites like Blue Earl Honeysuckle Rose. Of course, having ready access to a plethora of craft beer options is just one of the many reasons to settle down in the Wilmington area. When you choose one of the richly appointed, move-in ready homes from Montchanin Builders, your family will enjoy masterfully designed communities, tree-lined streets, neighborhood gathering places, and easy access to nearby amenities like the local library, shops, restaurants, and top-notch schools. Darley Green, The Cedars, Shipley Road, and the Town of Whitehall all offer their own unique charms. Explore the possibilities today by calling Montchanin Builders at 302.655.2600. Our friendly staff members look forward to working with you to find the perfect home for your family. Be sure to ask us about our homebuyers’ incentive program! Whether you’re taking your family out for a stroll around town or sneaking in a quick treat on your lunch hour, these local ice cream spots simply can’t be beat. Residents of Darley Green, The Cedars, and other Montchanin Builders communities can take full advantage of living so close to amazing amenities, while enjoying the comfort of their own masterfully planned oasis. The Mitchell family has been running Woodside Farm since 1796, but it wasn’t until 1998 that the family opened the Creamery. If you’re in the market for locally produced ice cream, Woodside Farm Creamery is the place to be. The family makes its treats with the milk produced by the dairy herd on the farm. Currently, the Creamery menu serves up delectable milkshakes, cones, banana splits, sundaes, and ice cream cookie sandwiches. Take home a quart or a pint to enjoy later and be sure to check out their ice cream pies, cakes, and cookie cakes. Woodside Farm Creamery boasts such diverse flavors as cake batter, cappuccino crunch, chocolate thunder, coconut, peanut butter and jelly, “dirt,” and bacon ice cream, along with classic favorites like chocolate peanut butter, butter pecan, cookies & cream, and cherry vanilla. Woodside Farm Creamery is located close to Wilmington. Just take a drive down Little Baltimore Road in Hockessin. If you’re interested in trying delicious ice cream even closer to home, head over to Concord Pike and look for Sweet Lucy’s. Head inside or stop by the outdoor walk-up window and order a banana split, hand-dipped cone, sundae, or low-fat soft serve. 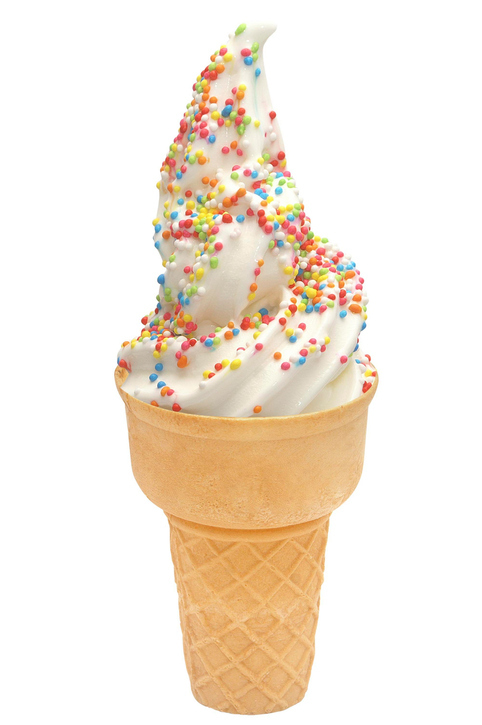 Sweet Lucy’s also offers fresh fruit smoothies for the health-conscious and its signature cone is “The Crusher” – a nonfat soft serve cone infused with your choice of toppings. Other menu offerings include Philadelphia water ice, table top S’mores that serves four, and bulk candy by the pound. Molly’s is known as Riverfront Wilmington’s best kept secret. It’s located in the Shipyard Shops overlooking the Christina River. Sit at the lunch counter and order sandwiches, soups, or salads, or choose a treat from their ice cream menu. Molly’s offers flavors ranging from black raspberry, peach, moosetracks, rum raisin, maple walnut, and pistachio. Molly’s Old Fashioned Ice Cream and Deli is also the ideal place for ice cream lovers who have special dietary needs. They offer no sugar added, fat-free yogurt, lactose-free, and vegan varieties. Montchanin Builders has long been recognized as exceeding the expectations of families throughout the Wilmington, DE area. Our prime communities feature well-appointed, move-in ready homes, including townhouses, condos and luxurious estate homes. When you move into Darley Green, you’ll enjoy the peace of mind that comes from sending your children to one of the best school districts around. Darley Green isn’t only located close to premier ice cream spots; it’s just minutes from the Claymont Public Library, park areas, walking and jogging trails, retail shops and businesses, and so much more. Montchanin Builders welcomes inquiries from prospective homeowners who are interested in Darley Green, Shipley Road, The Cedars, or the Town of Whitehall. Call 302.655.2600 today and ask us about our special financing options. Celebrate National Hamburger Month in Wilmington! July may have the Fourth and September of course has Labor Day, but May has its own cause for celebration. May is National Hamburger Month and here in Wilmington, DE, there’s no shortage of crave-worthy burgers. Wilmington, DE is truly one of America’s best kept secrets. Living in Darley Green offers quick access to Philadelphia and other major nearby hubs, but there’s no need to travel far to find what you’re looking for. 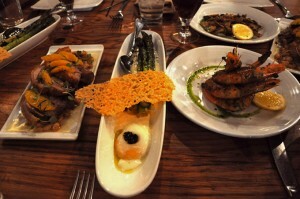 Wilmington offers an incredible selection of gastronomic delights – ranging from fine dining to casual burger joints. If you live in the Wilmington, DE area and you haven’t yet been to the Iron Hill Brewery & Restaurant, it’s time to make dinner plans. This unique restaurant consistently gets rave reviews. If the weather is pleasant, be sure to stop by the upstairs outdoor bar for a brew. It overlooks the river, has a laid-back ambiance, and is well-staffed by attentive bartenders. Iron Hill Brewery & Restaurant is one of the few around to actively participate in National Hamburger Month. It’s offering 31 burgers in 31 days, urging its regulars and first-time guests to “Go Forth and Trumpet the Meaty Month of May!” For May 1, the burger of the day was the Hangover Burger, which features a premium burger nestled in sriracha aioli, topped with sharp cheddar, bacon, crispy onion rings, and a fried egg. Other notable offerings include the Tombstone Burger, The Big Cheesowski, The Californian, and the Ode to Jerry Garcia Burger. In fact, the menu features burgers sure to please any palate, even those looking for sophisticated offerings. The Fun-Ghi Burger features exotic mushrooms, caramelized onions, gruyere, truffle mayonnaise, and arugula. The many locations of the Grub Burger Bar across the country are a testament to its popularity. Locally, it can be found in North Wilmington on Concord Pike. It features a dine-in and to-go menu. Grub Burger Bar bakes its own rolls from scratch and grinds its own signature brisket and chuck blend every day. Like Iron Hill Brewery & Restaurant, this notable burger spot features an impressive menu of local favorites, including the Lockhart Legend with house-made BBQ sauce and Applewood smoked bacon; the Thai Peanut burger with creamy peanut butter, cilantro lime coconut flakes, and Sambal mayo; and the VooDoo Mushroom, which features absinthe-sauteed mushrooms, Swiss cheese, and Tabasco mayo. If you’re looking for a one-of-a-kind burger, the Grub Burger Bar is your destination. Wayback Burgers has restaurants in Wilmington and nearby Dover. Its claim to fame is the customizable nature of its signature burgers, including the Wayback Classic, which is available as a single, double, or triple patty. For those looking for a traditional style of burger, the double bacon with American cheese is sure to please. Those in the market for a more daring culinary adventure could try the Carolina, which is topped with mustard, coleslaw, chili, and onions. Residents of the master-planned communities of Darley Green, Shipley Road, and The Cedars enjoy the good life at an affordable price. Montchanin Builders invites your family to tour our beautifully designed community and move-in ready homes – the perfect marriage of modern convenience and timeless design. Here, families make the most of spring and summer weather by strolling along the tree-lined streets, skipping stones in the bubbling stream, and coming home to exquisitely appointed luxury homes. Call Montchanin Builders at 302-472-7213 to learn more about our premier Delaware communities. 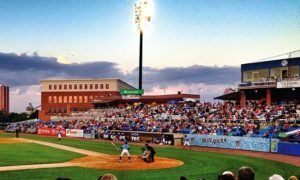 No spring in Wilmington is complete without a trip to the ballpark to see our very own minor league baseball team in action. 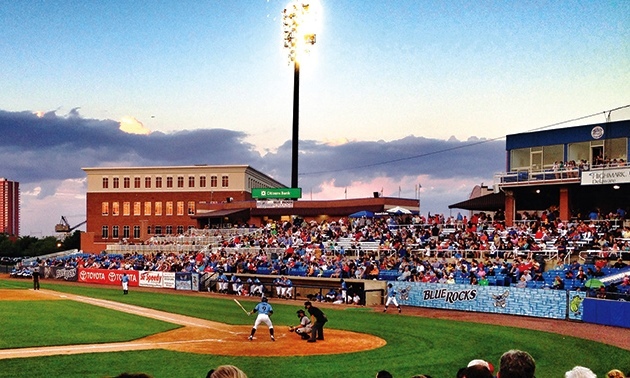 And if you’re a die-hard Wilmington Blue Rocks fan, you can purchase your 6-12 game Blue Rocks Mini Plan – including the option for a “Sunday Funday” plan – right now to get the best seats in the house. Of course, residents of the beautiful Darley Green community need not worry about arriving at Frawley Stadium in time for the game. Via I-95 N or I-495 N, Frawley Stadium is just 20 minutes away! If you’re planning to see the Wilmington Blue Rocks this year, keep in mind that the team is hosting numerous giveaways during the season, including Desert Camo Hat Night on May 3, Star Wars Night on June 3 and the Mega Candy Drop on June 12. Your family can also view fireworks at Frawley Stadium throughout the summer. Before or after the game, there’s always plenty to do on the Wilmington Riverfront. Every local family should visit the famous Kalmar Nyckel at least once. Although it’s a replica of the original ship, its builders used the same old world craftsmanship as the original builders. The original ship was famous for bringing European settlers to the Christina River in 1638. Visit the Kalmar Nyckel at the Tubman-Garrett Riverfront Park near the Shipyard Shops. Tours and excursions are available. If the weather isn’t being cooperative, families can check out the 25,000-square foot Stratosphere Trampoline Park. Truly a unique experience, this trampoline park is a first for Delaware. Families are invited to defy gravity while promoting physical fitness. In addition to the main arena, the Stratosphere Trampoline Park features various game areas, a snack shack, and even private party areas for gatherings. Parking is free. When your family has had their fill of jumping around indoors, head outdoors to the local urban wildlife refuge. The Russell W. Peterson Wildlife Refuge, located on the riverfront in Wilmington, is quite literally a sanctuary for animal lovers and wildlife alike. Visit the Dupont Environmental Education Center, which features free educational programs, a 10-acre ornamental garden, and a quarter-mile pond loop. No registration is needed for the free programs; just drop in to meet marsh animals, go on a storybook walk, or feed the turtles, toads, and black snakes. While watching the Blue Rocks at Frawley Stadium, your family can enjoy a range of concessions – including a gluten-free menu! But the Riverfront in Wilmington also has plenty to offer local gourmands – from country comfort food to trendy fine dining options. After spending a day enjoying the river, check out highly rated restaurants such as Timothy’s Riverfront Grill, Big Fish Grill on the Riverfront, or the River Rock Kitchen. Living in the Darley Green community gives you access to the many attractions and amenities of the Wilmington, DE area. Beautifully designed, move-in ready homes are now available starting in the low $200s. Call Montchanin Builders at 302.655.2600 to book your tour of the Emerson, Clemson, or Carlyle models and come home to Darley Green. Ask us about pre-approval on our Delaware townhomes and condos! Not sure how to woo your honey this Valentine’s Day? If you live near Wilmington, there are plenty of romantic options to choose from. From romantic Sunday brunches to stunning performances at The Grand to leisurely day trips for two, Wilmington leaves little to be desired. Wilmington is a top brunch destination for couples this Valentine’s Day. 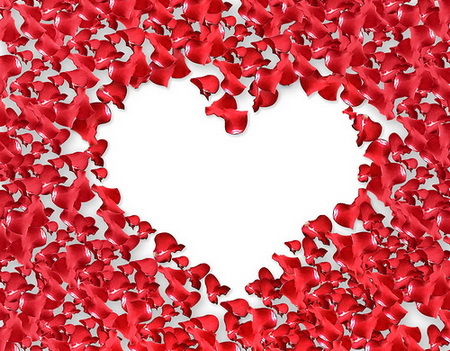 Take your sweetheart to the Deerfield for its famous Valentine’s Day Brunch featuring “over 111 feet of brunchy goodness.” Their Sunday brunch is expected to sell out for Valentine’s Day, so be sure to book your reservations now. You’ll enjoy choice offerings like made-to-order omelets, rack of lamb, and Deerfield’s famous bread pudding. To truly wow your honey, have a dozen roses delivered tableside (order in advance). When it’s time for dinner, head over to the Chelsea Tavern for their Valentine’s Weekend “Sweetheart” Package and enjoy four courses of delectable delights, from warm brie cheese with fig jam and crostini to peppercorn crusted duck breasts. And of course, don’t forget the desserts. The chefs at Chelsea Tavern are preparing tiramisu and pistachio lemon tart for your special Sunday. In between your leisurely brunch and romantic dinner, take in the sights and sounds of downtown Wilmington. Why settle for giving your love a bouquet when you can offer hundreds of exquisite orchids? The Orchid Extravaganza at Longwood Gardens runs through late March. Its balmy indoor garden features rare orchids and seasonal art displays. Score extra points with your sweetheart by hiring a photographer to capture the memories. If you’d rather be entertained while comfortably seated, consider taking your Valentine to The Grand Opera House, a historic structure built in 1871. The box office is currently selling tickets for its February 14th performance of the 23rd Annual DE Dance Festival at Copeland Hall. There are only a few weeks left for the outdoor ice skating rink at Horizon Riverfront Rink. Take your sweetheart for a romantic spin on the ice amidst festive winter decorations. Ice skate rentals are available, as are a warming tent and concessions. If a day trip is more your style, consider booking passage on a romantic ferry, departing from Cape May and Lewes. When making reservations, specify that you would like the “Ferry Love Valentine’s Package,” which features a special fare rate, a complimentary glass of champagne, and other treats to enjoy during your ride. Prefer to combine your adventures with dinner? Book a cozy train ride for two aboard the Wilmington & Western Railroad’s heated coaches. During the two-hour ride, enjoy a leisurely buffet dinner with a Port wine cheese spread, braised beef with mushrooms, Maryland-style shrimp and crab saute, and other delectable choices. As the trendsetter in affordable luxury in Delaware, Darley Green is the neighborhood of choice for Wilmington families. Whether it’s winter or summer, spring or fall, the rich culture of Wilmington offers leisure activities galore for singles, couples, and families. Conveniently located just 10 minutes from happening downtown Wilmington, Darley Green is among the fastest-growing communities around. While matching sophisticated architectural design with well-appointed interiors, Montchanin Builders has found the sweet spot between high-end luxury and attractive pricing. To schedule a tour of your new home in Delaware, call our sales office at 302-472-7213. Wilmington and the Brandywine Valley have long-been heralded for a rich culture, historic attractions and high quality of living. Brimming with expansive estates, grand theaters and quaint bed and breakfasts tucked amid miles of rolling countryside, this beautiful area has been a major trading hub since colonial times. While visitors arrive in droves for outdoor adventures and cultural offerings, they’re also coming to experience the food. The Wall Street Journal recently chronicled The Rise of Mid-Atlantic Cuisine, praising local restaurateurs and chefs who are staking their claim to culinary greatness. The region’s gastropubs, cafes and restaurants still showcase their local heritage, paying homage to bountiful fresh seafood. But diners are also treated to global fare and innovative twists on some of their favorite dishes (crab cakes or scrapple anyone? ), prepared by talented new chefs. What sets these restaurants apart from the rest? For one, chefs shop locally and sustainably, sourcing locally-grown meats and produce from Delaware farms and waters, ensuring the freshest flavors of the season, not to mention a smaller environmental impact. Ulysses American Gastropub – open for lunch, dinner and Sunday brunch, this Wilmington hotspot serves everything from smoked chicken wings to New England style lobster rolls and signature crab cakes heaped with tender chunks of lump crab meat. The star of their tempting brunch menu is their Scrapple Mac & Cheese – a rich cheddar fondue made with beer and crispy pieces of pork. Their draft beer selection is impressive, with a nice mix of hoppy ales, stouts and lagers from regional microbeweries. River Rock Kitchen – Farm fresh ingredients reign supreme in this Riverfront restaurant that highlights produce and products from orchards and co-ops in the Mid-Atlantic region. Chow down on a perfectly grilled steak frites with truffle-scented fries, or savor steamed clams with hand-made lamb bacon, herbs and white wine. The menu at River Rock Kitchen includes a variety of small and large plates that are based on healthy, indigenous fare. Open daily for breakfast, lunch and dinner. Home Grown Café – Tempura fried avocados, California Cobb salads and Power House wraps are some of the most popular dishes at this Newark haunt, which has won several awards for its inspired vegetarian cuisine. Their menu features homemade soups, amazing salads and some tasty non-veg dishes like braised lamb, Angus burgers and seared sirloin tips. Check out their weekly specials that spotlight the best in seasonal fare. They also have an awesome Happy Hour menu that includes favorites like Crabby Fries and Thai squash bisque with roasted pumpkin seeds. Buckley’s Tavern– This popular Delaware tavern is a great choice for comfort food and cozy ambiance. Located in an old blacksmith’s shop dating back to 1817, Buckley’s serves much more than your traditional pub fare, and the owners are proud to support regional growers and farmers. Their menu boasts an eclectic mix of healthy salads, filling appetizers (panko-crusted onion rings, clam chowder, and roasted garlic humus to name a few), along with shrimp and grits, seared salmon and their special house made meatloaf served with gravy. On Sundays they even host a family-style Pajama Brunch, with a 50 percent discount for those who dine in their sleepwear! A vibrant culinary scene is just another reason why Wilmington is a great place to call home. Darley Green is one of the area’s newest master-planned developments, offering residents affordable luxury in the beautiful Claymont Renaissance District. To learn more about Delaware condos and townhomes by Montchanin Builders, please call our sales office at 302-472-7213 or swing by for a home tour any day between 11am and 5pm. 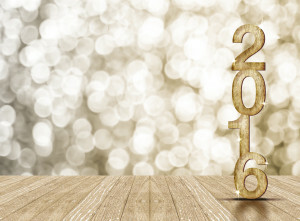 Wilmington residents have plenty of exciting options to ring in 2016. Whether you’re celebrating with family, friends or that special someone in your life, here are some of the best events to enjoy New Year’s Eve 2015. Indulge in gourmet eats, live music and champagne toasts this December 31st, and welcome the New Year in true Wilmington style! NYE at Firestone Roasting House – this Wilmington Riverfront hotspot is featuring an all-out bonanza this year. Their New Year’s Eve package includes an all-night dinner buffet (with lobster macaroni and roasted oysters), live music from your favorite Wilmington-based bands, the musical stylings of DJ Noj, a champagne toast and a premium open bar. An evening under the stars starts at 9:00 PM and runs until 1:00 AM. Take advantage of their complimentary valet, and buy your tickets now! Prices start at $65 per person. Hilton Wilmington/Christiana Comedy Package – get ready to laugh your way into the New Year at the Hilton Wilmington hotel. This package, priced at $399 per couple, features a 5-course surf & turf dinner followed by a comedy performance by Jessa Reed. Dance the night away in the Hunt Club Lounge (with open bar) until the ball drops at midnight! Also includes a champagne toast, party favors, late-night feast, hot morning buffet and late check out. Kid–friendly celebration at the Brandywine Zoo – celebrate “Noon Year’s Eve” with your little ones at the Brandywine Zoo. The action starts at 11:00 AM and will include animal-themed games and crafts and a sparkling cider toast to bring in 2016 at noon. Cost is $5 for zoo members and $6 for non-members. Ernest & Scott Taproom Dance Party – Join in on the fun at this Market Street watering hole, which is hosting a special NYE Dance Party with DJ Phatboy spinning records all night long. Tickets start at $45 per person and include a 4-hour open bar, two full hours of “heavy hors d’oeuvres,” a balloon prize drop at 12, and a midnight dessert bar. Starboard New Year’s Eve Celebration – The Starboard restaurant in Dewey Beach is hosting its annual NYE party featuring fully heated decks, live entertainment, a delicious seafood buffet, champagne and tons of party favors. The festivities start at 7PM, and tickets always sell out. Purchase your Starboard NYE tickets online today! NYE Keg Drop Party – If you love a good craft beer, head over to the Crooked Hammock Brewery in Lewes, DE for their 2016 NYE Keg Drop Party. Celebrations kick off at 9 PM and include live music by U.F.O, dancing, an open bar, party food stations and a chance to sample their first custom brew of the year. 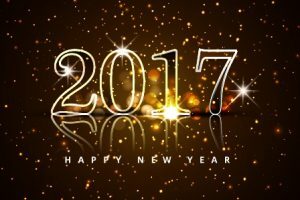 The team at Montchanin Builders wishes everyone a happy and healthy New Year. As 2015 comes to a close, we’re reminded of the many reasons we love to live and work in the beautiful state of Delaware, helping families find the homes of their dreams. For more information about our beautiful Wilmington condos and townhomes, and our premier community of Darley Green, please call 302-655-2600. Once the snowflakes start swirling and the hot cocoa is poured, ice skating is one of the first activities that comes to mind for date night, family fun, or a wintry evening out with friends. Wilmington, Delaware has both indoor and outdoor ice skating facilities just a short drive from the Darley Green neighborhood in the thriving Claymont District. 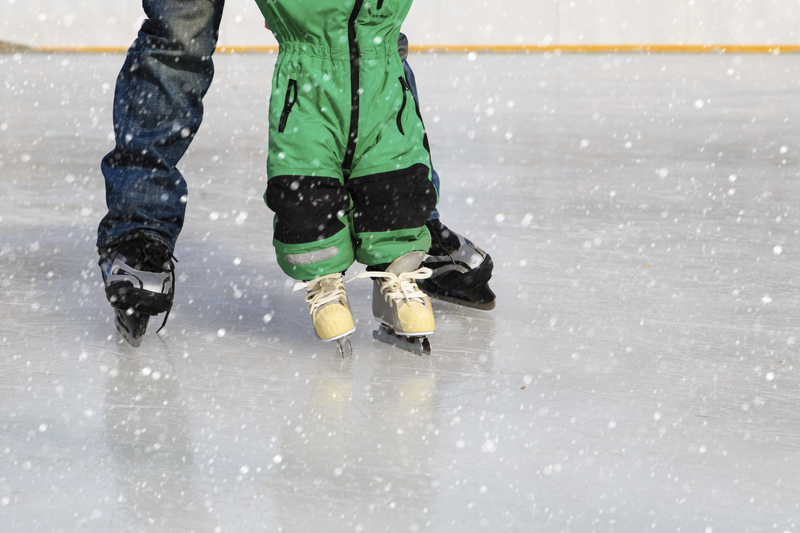 You don’t have to be a member of the Skating Club of Wilmington to enjoy the sheet of ice year-round. The indoor rink is home to a hockey league, hockey camps, figure skating competitors, broomball league, and beginner skate lessons. The facility is also available to rent for a birthday, holiday, or corporate party. A snack shop provides food and beverages, and a pro shop sells equipment for the ice skating enthusiast. Public skating hours are: Wednesday evenings from 7:10-7:40, Friday evenings from 7:30 – 9:30, Saturdays from 3:15 – 5:15, and Sundays from 3:15 to 5:15. Call 302-656-5005 for details. In 2014, the Riverfront Development Corp of Delaware opened a scenic, seasonal 120 x 72-foot outdoor ice skating rink on the Wilmington Riverfront. The family attraction accommodates up to 350 skaters and is open from late November through February 28. The attraction features holiday decorations, twinkling lights, seasonal music, warming huts, skate rental, and concessions. Skaters pay a $5 admission (under 12) or an $8 admission (12+), plus $3 for skate rental if needed. Four-session skating lessons are available at 6 pm for a charge of $92 plus the skate rental fee and can be booked by emailing jsenn@riverfrontwilm.com. Rink hours are Monday through Thursday from 4 – 9 pm, Fridays from 4 – 10 pm, Saturdays from 11 am – 10 pm, and Sundays from 11 am – 9 pm. For more information, visit www.riverfrontrink.com. Bellevue State Park has been nicknamed “a park for all seasons,” with its fine tennis courts and horse stables in the summers and its frozen ice skating pond and snow-covered woodlands in the winters. Skaters must bring their own equipment but are free to skate and enjoy the breathtaking views of the Delaware River from 8 am until sunset, weather permitting. Call 302-761-6963 for details on current pond skating conditions. In addition to these three ice skating opportunities right here in Wilmington, Delaware, our residents also enjoy easy access to the skating facilities in Philadelphia, which are less than a 30-minute drive from Darley Green. Places like The Rothman Ice Rink at Dilworth Park (in the shadow of city hall), the Blue Cross RiverRink at Penn’s Landing, the Laura Sims Skate House at Cobbs Creek, and Rizzo Rink are all worthy spots to check out this winter. Close proximity to all the best attractions Wilmington, DE and Philadelphia, PA have to offer is one of the main reasons buyers flock to the Darley Green master-planned community. They also like that our move-in ready townhomes and condos are designed with classical architecture and low-maintenance in mind, not to mention built to last! Call 302-655-2600 for a tour.